Why Spy on Taiwan When Taiwan Gives Information Away for Free? Mainland China’s attempts to spy on Taiwanese activities are being abetted by Taiwanese agents. Chinese espionage against Taiwan, the self-ruled, democratic island claimed by Beijing as a “breakaway” province awaiting “re-unification,” has kept intelligence experts awake at night for decades. People have long worried about aggressive espionage by China’s intelligence apparatus and leaks by members of Taiwan’s armed forces. Now according to the island’s top intelligence chief, we have something else to fear: Government agencies giving loads of confidential information to the Chinese — for free. Even as relations improved between the two sides following the election of President Ma Ying-jeou of the Chinese Nationalist Party (KMT) in 2008, collection by China’s civilian and military intelligence agencies targeting the island, as well as cyber intrusions, never subsided. While it would seem contradictory — and perhaps counterproductive — for Beijing to maintain an aggressive intelligence posture against the island amid warming ties, China’s multifaceted approach to Taiwan, a mix of incentives and threats, explains why. 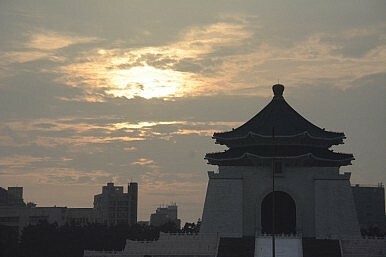 Furthermore, as growing economic and cultural ties have yet to yield political dividends for China in terms of making unification likelier, Beijing is keen on obtaining as detailed a picture of its opponent as possible should the day come when rulers in Zhongnanhai decide that non-peaceful means are necessary to resolve the issue once and for all. Chinese intelligence has therefore been unrelenting in its espionage against Taiwan, cultivating sources in Taiwan’s military and within its open society, to which it now enjoys unprecedented access thanks to relaxed rules on investment, visits, and tourism. According to government statistics, almost 3 million Chinese tourists visited Taiwan in 2013, accounting for a whopping 36 percent of the 8 million arrivals that year. Evidence suggests that a number of Chinese tourists who enter Taiwan ostensibly for tourism purposes are “directed” by Chinese intelligence agencies. According to legislators from Taiwan’s opposition, 784 Chinese have overstayed their visas. If we add Chinese who enter the country illegally, the total is well above 1,000. A fraction of them is assumed to be engaging in intelligence operations. Later this year, China and Taiwan will open exchange offices on each other territories, a first since the birth of the People’s Republic of China (PRC). If the Hong Kong example is any indication, this will create additional opportunities for intelligence gathering. It is widely known that Chinese journalists in the employ of state-owned media like Xinhua News Agency also engage in intelligence collection abroad. Under loosened regulations, those agencies are now allowed to operate in Taiwan. In some instances, Chinese journalists have hired the services of Taiwanese journalists to act as go-betweens. There are known cases where the Taiwanese journalists had a wide network of contacts within Taiwan’s military as a result of covering that beat for years. As Chinese access to Taiwan has increased, Taiwan’s counterintelligence resources have not experienced a commensurate growth. In fact, its agencies have often complained of underfunding and lack of resources to meet the growing challenge. And now, things may just have gotten a lot worse. During an interpellation session on the Legislative Yuan on March 11, Tsai Der-cheng, the director-general of Taiwan’s National Security Bureau (NSB), indicated that International Integrated Systems Inc (IISI), a Taiwan-based company that received a contract to maintain the nation’s new electronic household registration system, may have subcontracted its software to an unnamed Chinese Internet firm. Tsai was quizzed after a “confidential report” on the subject was allegedly brought to the attention of legislators. According to multiple reports, besides the household registry, the subcontracted software would affect a total of 28 agencies, including the Taipei City Fire Department, the Department of Rapid Transit Systems, as well as water and meteorology systems. The revelation sparked fears that China, either through direct access or Trojan Horse software, could access confidential information on millions of citizens and public infrastructure, a clear threat to national security. Questioned in turn the following day, Premier Jiang Yi-huah denied any knowledge of the matter and promised an investigation within a week. The controversy then turned to absurdity, with the NSB, the Executive Yuan and the Ministry of the Interior — the minister under whose watch the incident occurred has since stepped down over related matters — passing the buck and refusing to take responsibility. For its part, a spokesman for the Taipei City Government said that if the reports were true and that information leaks and security were involved, it would “discontinue its contract with the contractor and seek compensation.” According to reports, the contract between IISI and the Ministry of the Interior explicitly forbade the use of subcontractors. At this point, the contradictory statements by the authorities make it difficult to fully understand the seriousness of the matter, though we should note that Tsai has had a good track record over the years of raising the alarm over threats to national security, even when doing so proved inconvenient for the government’s efforts to improve ties with China (among other things, he was the first Taiwanese official to confirm the existence of China’s Dong Feng 16 medium-range missile). What is certain, however, is that the possible impact on national security is such that something more than denials and statements by officials are needed to reassure Taiwanese that their safety hasn’t been compromised. Nothing short of a full investigation will suffice. Equally worrying is the fact that the controversy only came to light after the household registration system crashed soon after its launch in February 2014, drawing attention to it and prompting Lee Hong-yuan, Chen’s predecessor as Minister of the Interior, to point out the “many factors that contributed to the system’s flaws, including [the ministry’s] failure to properly oversee the planning and bidding process … to coordinate with the contractor and thoroughly test the system.” During the crisis, legislators also unearthed what they claimed was evidence of bidding irregularities in awarding the project to IISI, which occurred under Premier Jiang’s watch when he was Minister of the Interior (from September 2009 through February 2012). Feng Ting-kuo, a former legislator with the People First Party and pro-unification New Party, became chairman of IISI in April 2011.